Lian Li Industrial Co., LTD was founded in 1983. We are one of the largest and most reputable manufacturer of aluminium PC case in Taiwan. With over twenty years of experience in the computer products field, our dedicated team of engineers, production specialists and adminstrative staff provide the finest quality accessories available on the market. In 1993, Lian-Li Introduced the new lines of computer hardware, including bracket ( for case & interfaces), Mobile rack (for H.D.D. 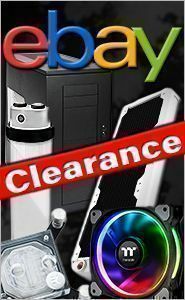 ), mounting kit (for FDD & HDD), aluminum PC cases, IPC, external cases, server cases and more. We also provide OEM & ODM services, you are assured of designs that will meet your exact specifications, innovative ideas in manufacturing that will give your products an essential market edge. Our outstanding quality has earned us ISO 9001 certification for all of our products. In addition, we back up our quality assurance with a two-yeara guarantee on most of our products. Can you post a picture of an example of something etched? Will this fit the Lancool PC-K7B model case?